This is the last recipe in the round up from a series of blogs highlighting my newest book, The Allergy-Free Cook Makes Pies and Desserts. Just like all of my other recipes, it’s free of gluten, dairy, eggs, and soy, but also legumes, peanuts, seeds and yeast. This Apple Cider Pudding Cake is a lovely alternative to pastry-based apple desserts, and it comes together quickly and easily as the oven preheats. You don’t even have to peel the apples—the skins just meld right into the cake. Julie is the owner of Julie’s Kitchenette, TV show host, past bakery owner, current owner of Julie’s Original Gluten-Free Baking Mixes, prolific vegan cookbook author and so much more. Once you visit her site, be prepared to take some time–there is an awful lot of awesome going on over there. 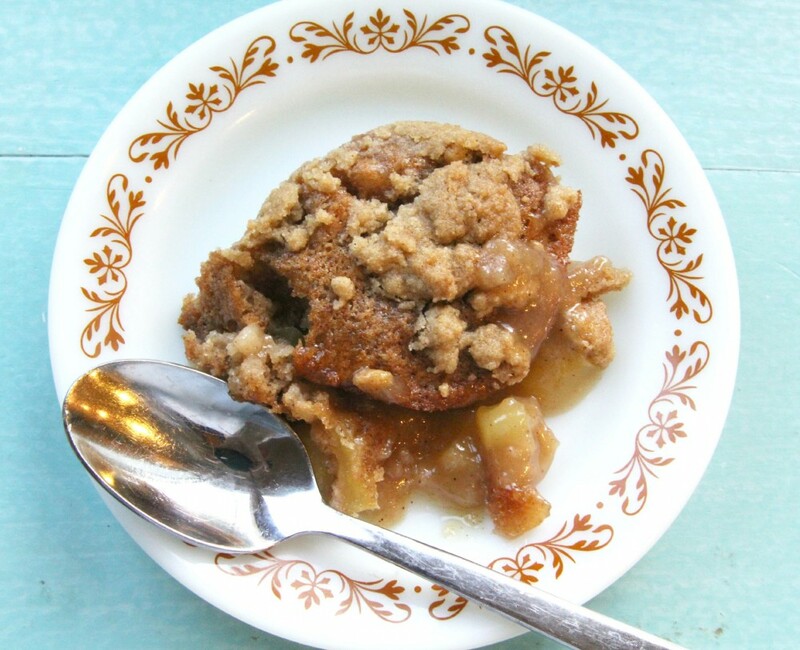 Check out the recipe here: Apple Cider Pudding Cake. Looks so inviting. A scoop of vanilla ice cream on the side……perfect!! !